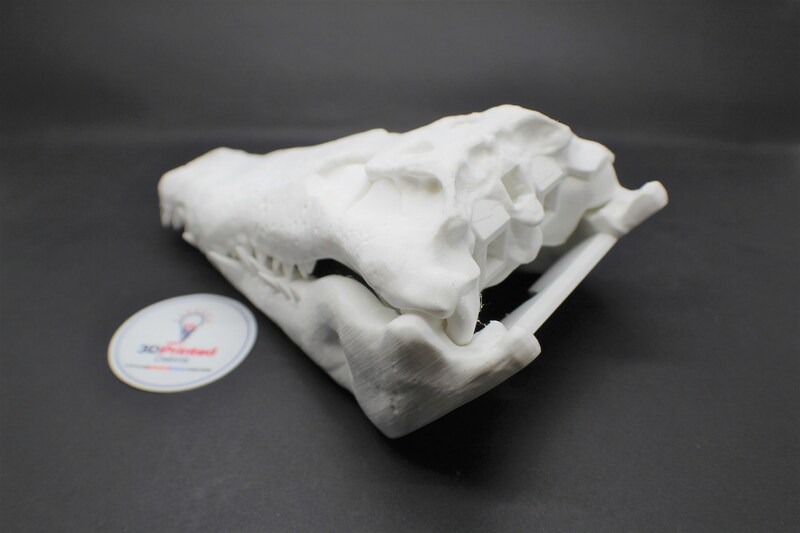 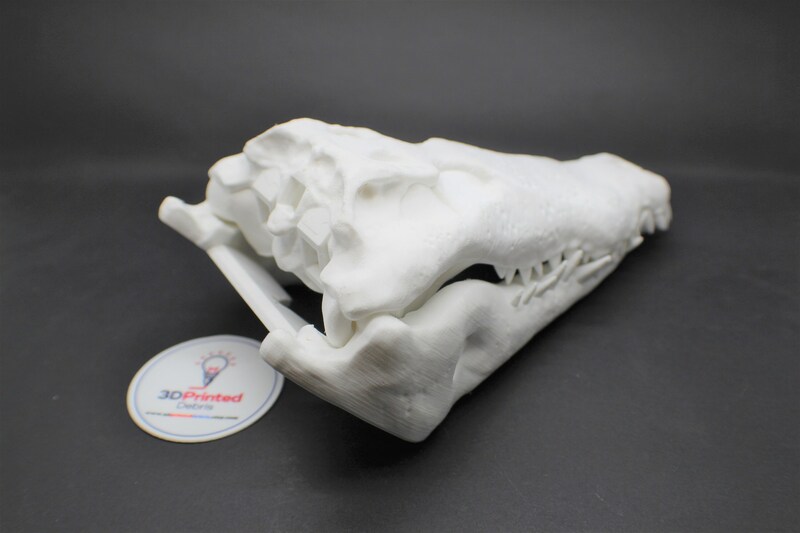 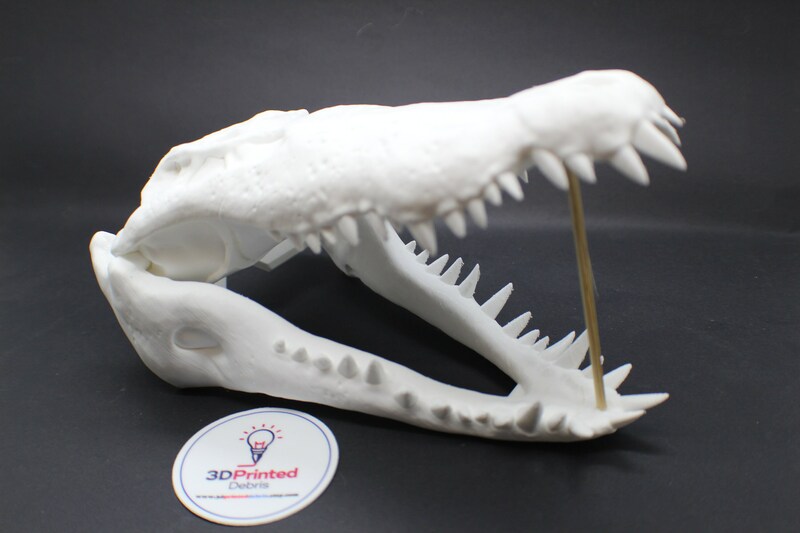 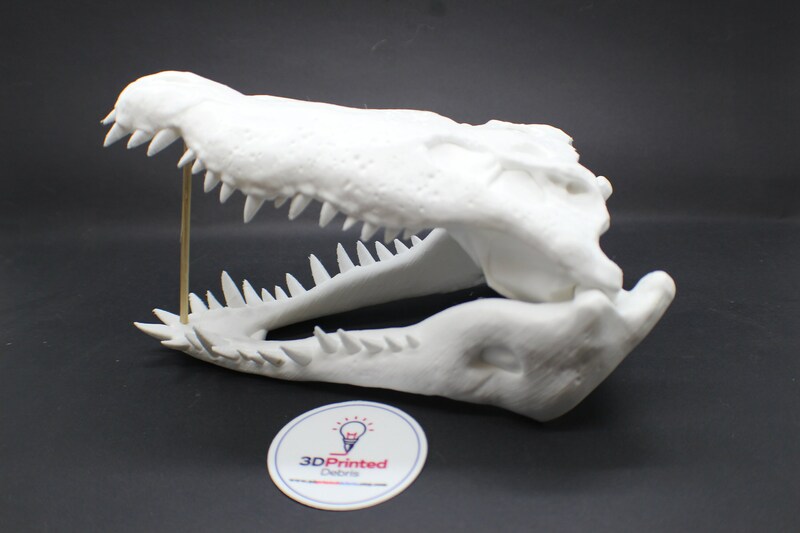 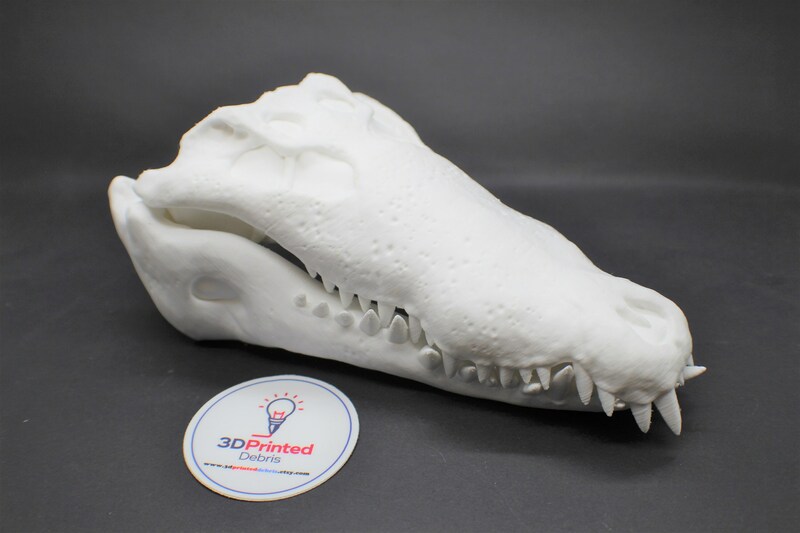 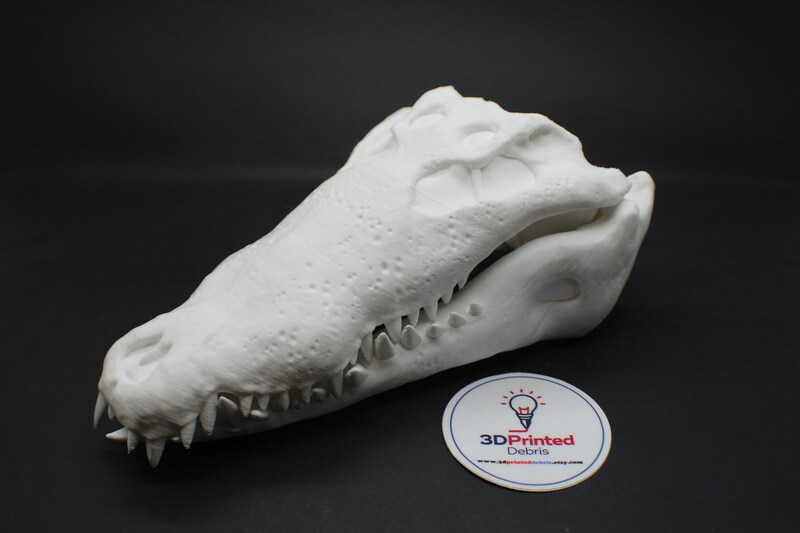 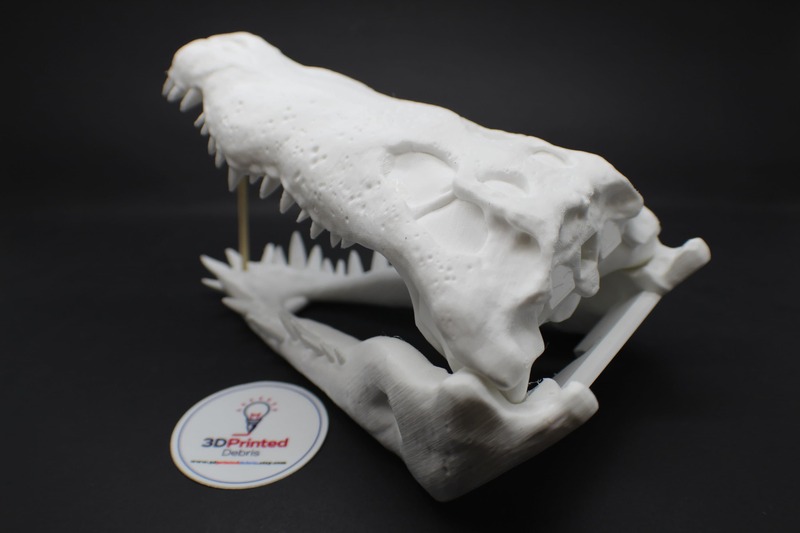 This is a 3D printed Crocodile skull designed by 3DKitBash with an articulating jaw. 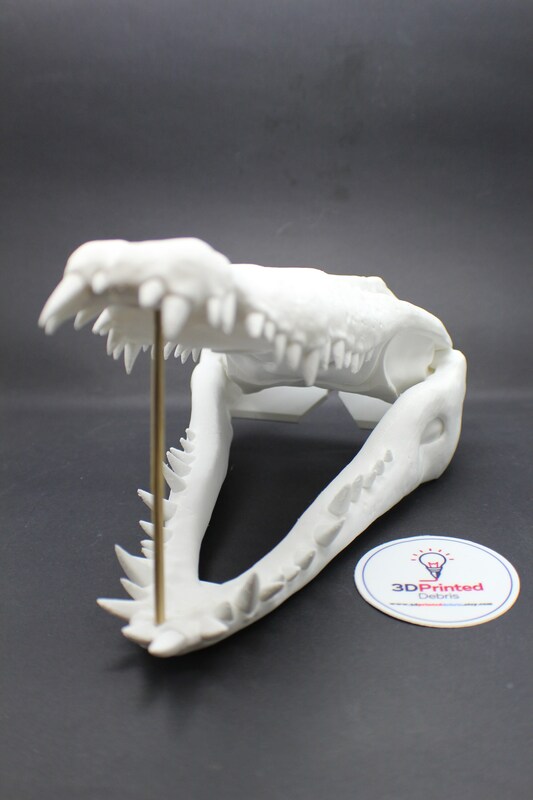 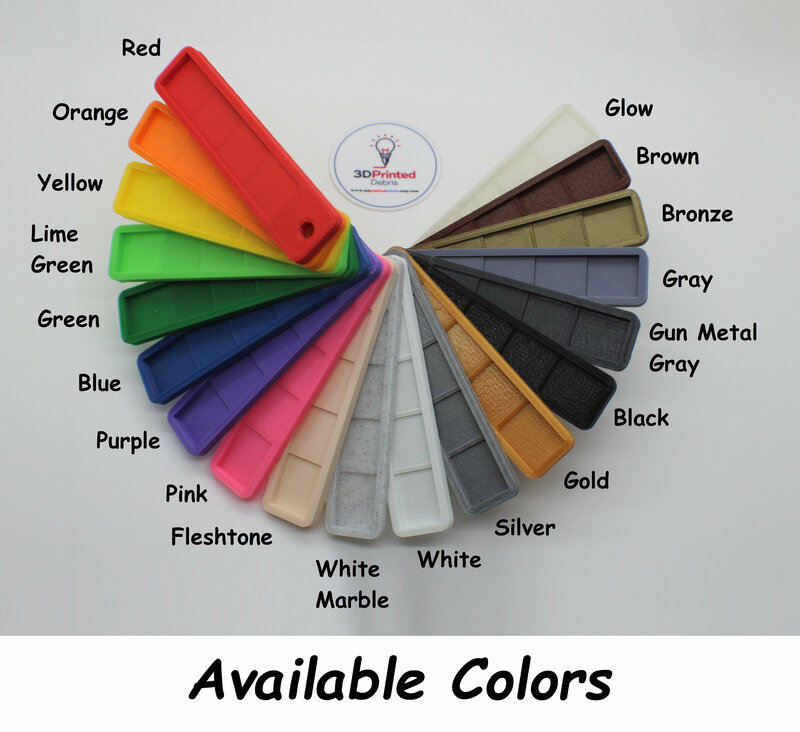 It has a handy wall hangar mount on the back to display it on the wall, or it can be set on the desktop or bookshelf for display. 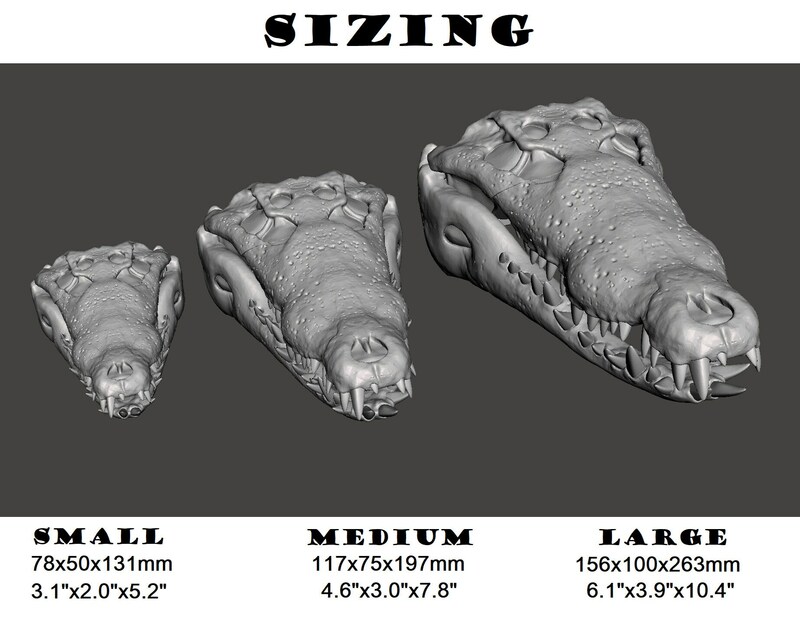 The detail of the model is outstanding, and the jaw is held in place with hinged pins.